ALEX PARDEE'S LAND OF CONFUSION: Sucker Punch on Blu-RAY! 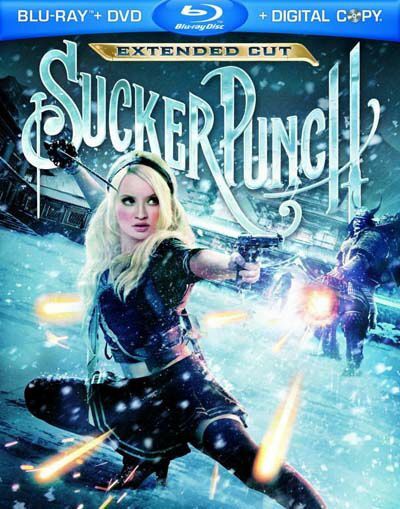 Zack Snyder's "Sucker Punch" Extended Cut comes out today on Blu-Ray, which is basically as cool as watching a TINY IMAX movie in your house. And the extended cut has a few scenes that would have made the movie an "R" in theaters and actually make the story even darker and cooler. Check it out if you can! If you didn't know, this film played a huge part in my life over the last 2 years as I got to create a ton of art for it. Today rules. My favorite piece of marketing ever. Zack & I with the lovely girls of Sucker Punch.